Everything started with sewing at night and skiing at daytime. As time passed, the company grew and there was less and less time for sewing. Designing, marketing and development of new products took over. That is why we decided to pass over manufacturing to external companies and started looking for high quality sewing companies. 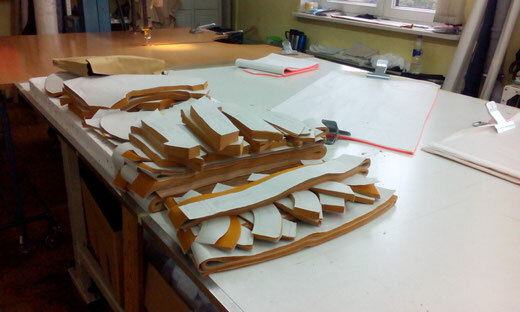 At the moment we work closely together with a Fashion Agency in Poland. The Agency is the center of our manufacturing. All the important information concerning patterns, sewing, stitching, knitting or printing merge there. To make sure that all our products are produced the best possible way, we need different sewing companies. Elastic fabrics need compared to static textiles a different set of machines and knowledge. The agency guarantees to find the right manufacturer for the right product. Poland offers a series of advantages. Besides the european working standards, high quality is self-explanatory and there is a great variety of manufacturing companies. With the support of our Agency, we are in close contact with each of our manufactureres and it is possible to work on small details. All our requests are realized with a ot of dedication. It is really important to us, that we know exactely where our clothing is produced. For sure, it is possible to produce fair in Asia. But there is still a difference whether you have workers being paid a minimum wage and living three people in one room or whether you live a normal life in Poland, work an eight hour shift and join your family for an evening together. We don't want to move in a legal grey zone. The knitting company, that we produced our first traditional knitted jacket with, is based in Austria. It is a small knitting mill with five employees. There is just a handfull of knitting mills left and we are proud of teaming up with one of the last companies still producing traditional clothing within Austria. 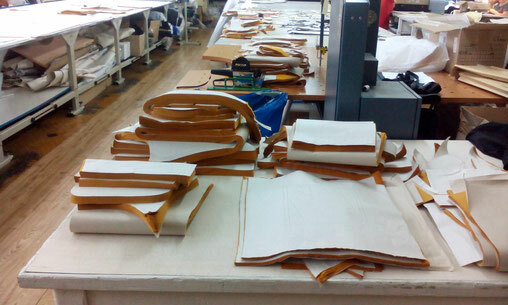 There is still a lot of manual work necessary for each jacket. 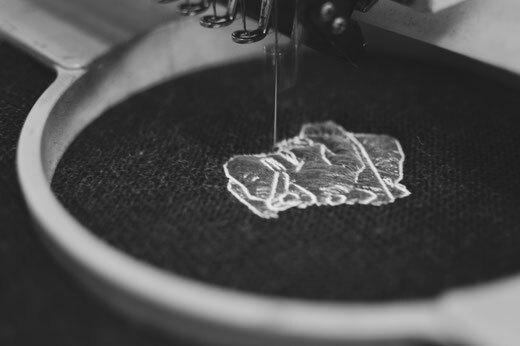 Every production piece is cut out, ironed and carefully sewed together. To add the buttonholes, they have a great, antice maschine, that exactely cuts out each buttonhole. To us, it was really important to have a traditional jacket made in Austria. We wanted to work together with an Austrian company, because they know exactely what kind of characteristics are essential for a "Trachtenjanker". Additionally, they care for the right choice of materials. We are proud to sell real traditional jackets from Austria, designed by Adele Bergzauber.